Every year, Chanel’s Métiers d'Art collection showcases the skillset of the small specialised ateliers under its subsidiary, Paraffection. Their craft is largely done by hand, using age-old techniques of a different era. We explore five of these ateliers and discover the story behind each one. Did you know? Son and heir to the atelier, Patrick Goossens describes the very first collaboration between Gabrielle Chanel and his father Robert in 1953 as the beginning of costume jewellery. 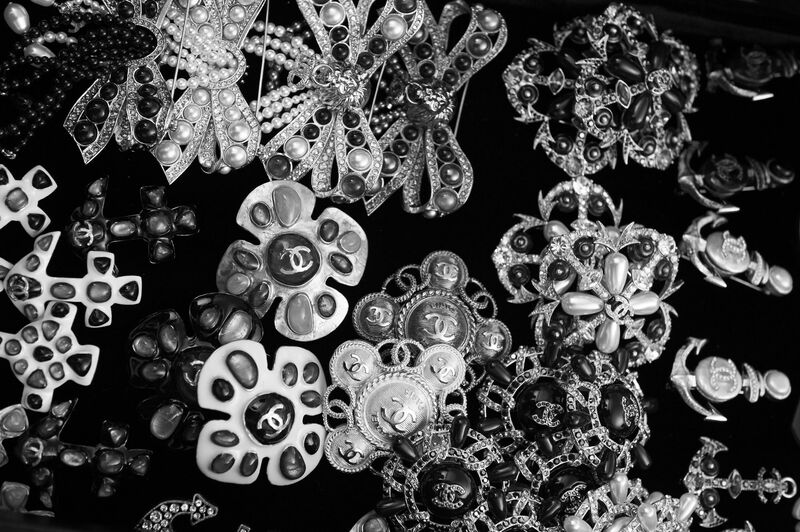 Completely unheard of at that time, they designed the jewellery with the clothes (and models) in mind, with both precious and non-precious metals, as well as enamel that still often used in Chanel's costume jewellery today. They make: Feather appliques and fabric flowers. Fun fact: they craft over 40,000 fabric flowers every year. Did you know? In the 1960s, a small independent atelier named Lemarié created a fabric camellia for Gabrielle Chanel. Since then, Lemarié craftsmen and women have been hand-crafting the maison’s iconic 16-petal blooms to this very day, where the flower has been reinterpreted by Karl Lagerfeld in a multitude of fabrics, from tweed to silk to leather. Did you know? Lesage has the largest archive of couture embroidery in the world: a mind-boggling 75,000 samples… and counting. Now imagine its mammoth library of embroidery supplies, consisting of everything from tassels to crystals and cabochons; over 30 kilograms of beads and 100 million sequins are used by its craftsmen annually. Did you know? In 2006, head of jewellery and accessories at Chanel (and well-known ultra-chic French girl) Laetitia Crahay was appointed as the artistic director of Maison Michel. She started the brand’s eponymous ready-to-wear line, and was the brains behind its now iconic-headpiece: the Heidi lace rabbit veiled headband. She left both positions in 2015 and is currently head designer of costume jewellery at Saint Laurent with Anthony Vaccarello. Did you know? In 1957, Raymond Massaro (grandson of the founder) collaborated with Gabrielle Chanel on its most iconic shoe: the beige sandal with a black satin tip. The artisans' techniques have not changed since 1894, where a shoe can take 40 hours of craftsmanship.